Why become a distributor for Pioneer Pump products? The reasons are many. To start, you represent a company and products of the highest quality. Our customers are so happy with our products’ performance that they become customers for life, giving you many opportunities for repeat and referral business. Our high-performance products and customer-focused approach to business give our distributors a unique position in the market. And the exceptional support we provide to all of our distributors — no matter where in the world they’re located — helps them grow and develop their areas of operation. 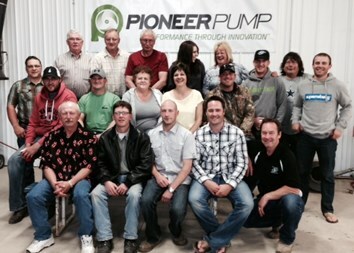 Join the growing group of distributors proud to offer the Pioneer Pump line of products.